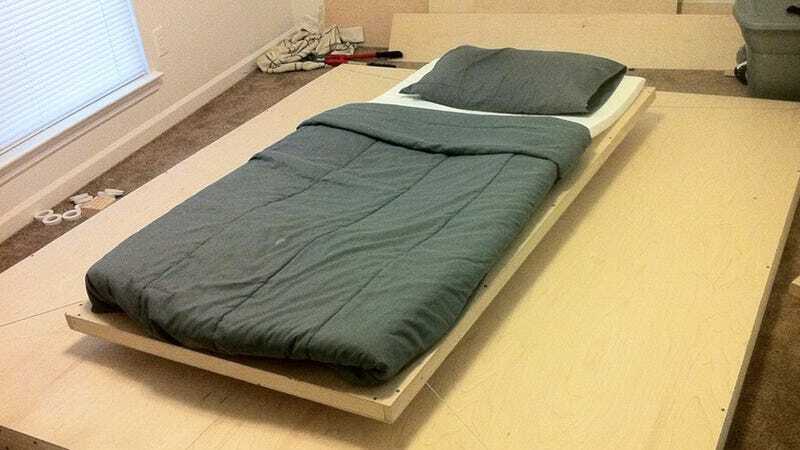 If you've got $1,000 burning a hole in your pocket, some power tools, and a free weekend at your disposal, you too can build this fantastic floating bed. It's just too bad it's really only strong enough to support one person. Created by Reddit poster 'mememetatata' the floating part of the bed is held up by a set of ridiculously strong neodymium rare earth magnets in the base underneath. And separating two of the hockey puck-sized magnetic discs that got stuck together during shipping seems to have been the most difficult part of the build.